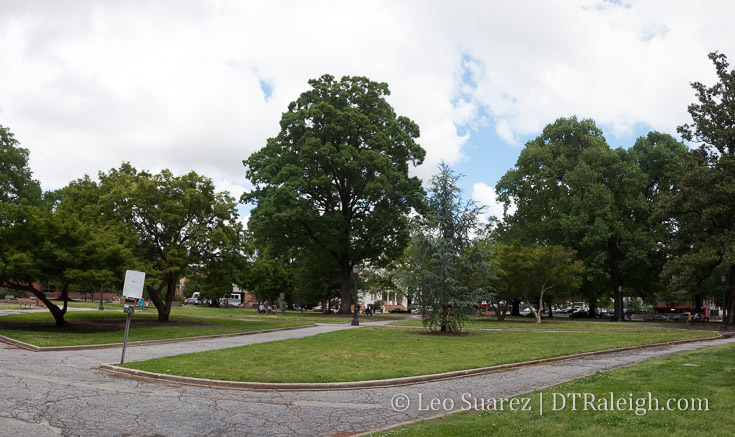 During the March 5, 2019 City Council meeting, an update to Moore Square was given and I’ve put the video here for sharing. It’s actually a good watch if you’re interested in what’s going on. We should plan for a July or August opening based on the presentation given. 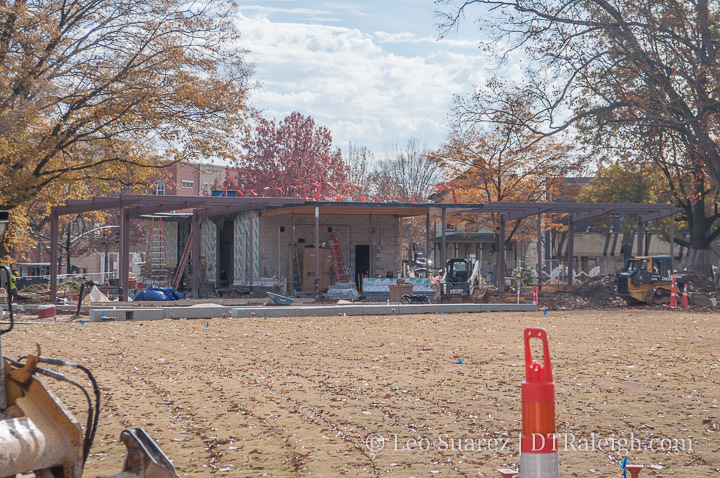 The Moore Square kiosk under construction. December 2018. 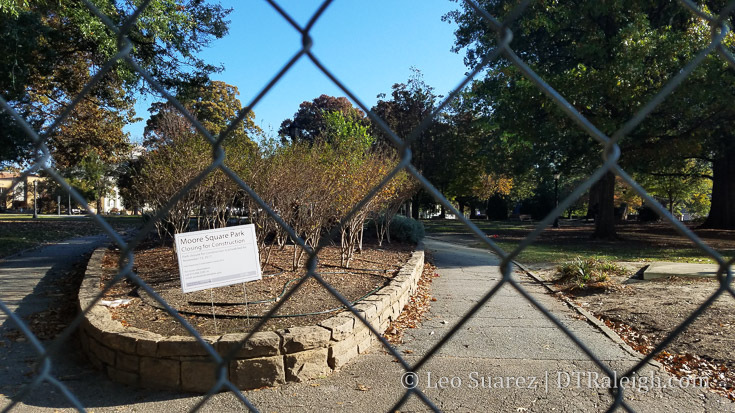 As the weather cools down and the leaves start to fall, Moore Square becomes a little clearer to see between the trees and the fencing. I thought it would be a good time to take a walk around the square as we wait for it to reopen sometime early in the new year. Three major things jump out at as you look around the square. There’s a huge lawn in the middle, the sidewalks are being greatly improved, and the cafe/restroom structure is starting to take shape. The grass has been put down for the big lawn and the walking paths around it are being put together. The lawn has a slight slope to it which makes it great for laying around or possibly sitting for a small show if a stage is set up at the bottom. This may make the square feel much bigger than it was before. The sidewalks have been completely overhauled. The corners of the square are spacious with bulb-out sidewalks The angled-parking that used to be along Martin Street is now gone and the sidewalk is being poured over this, making this end of the square feel much larger. Bulb-outs also exist for some of the crosswalks which makes crossing the street much easier. Through the fence, workers sit for lunch along the new wall seating. 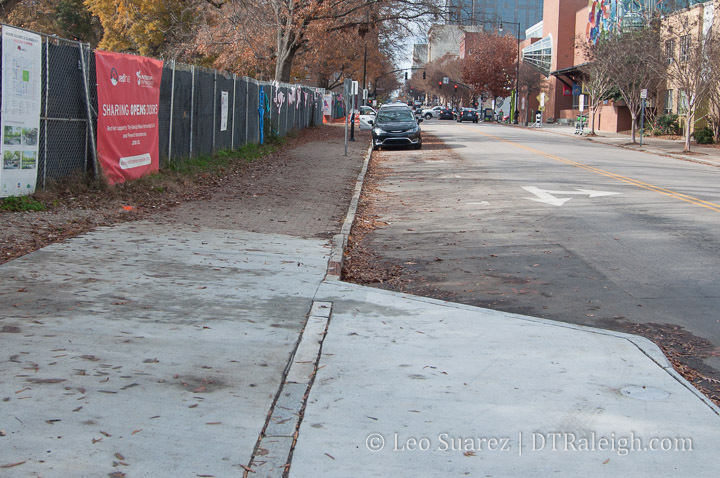 The former sidewalk remains as the new sidewalk waits to be poured. December 2018. 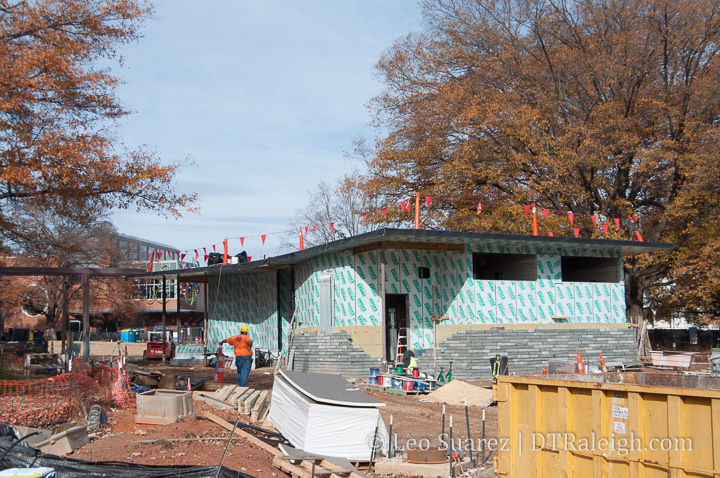 The cafe and restrooms are coming together and the faux-stone siding is starting to be installed. The architecture around this should be high-quality and already it looks great. From a distance, it looks like a gathering place that should draw people into the park. Moore Square cafe being constructed. December 2018. It’s exciting to see the square come together and the timing seems good to have it open before Spring 2019. Fingers crossed! Fencing is going up around Moore Square making it officially closed for the renovation. Art should be placed along the fencing soon as a way to keep the area looking lively. Looks like it is actually happening after so many years. 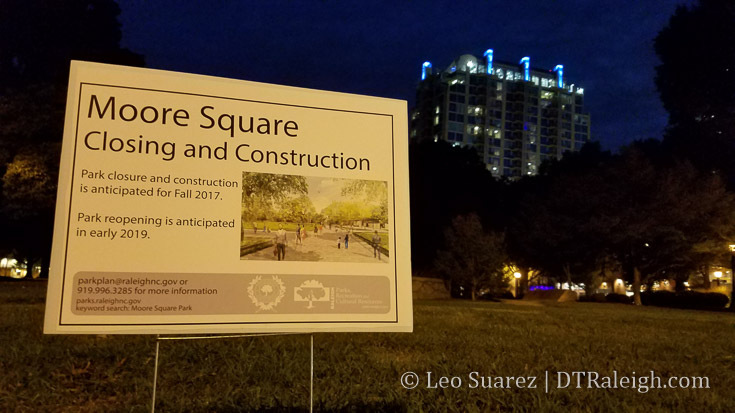 Moore Square will close down this November and the redesign takes place throughout 2018. While walking through Moore Square recently, I couldn’t help but feel that the square is primed and ready to go on its upcoming renovation. 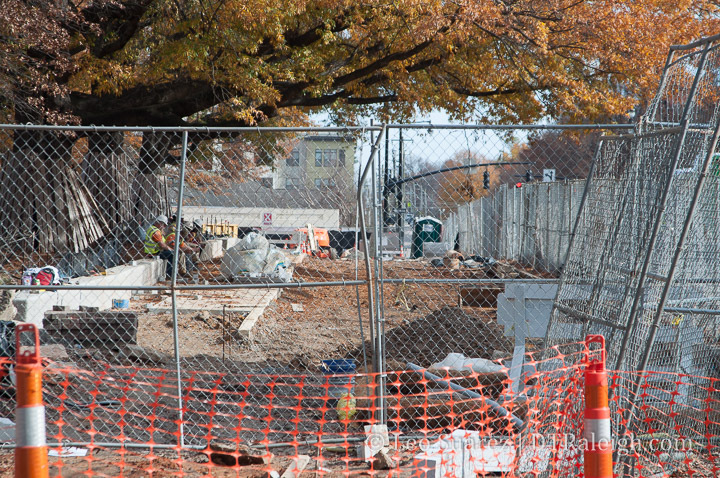 With the nearby GoRaleigh Transit Station renovation wrapping up, Moore Square’s number is coming up. Indeed, the square is planned to start construction this Spring but the bus station needs to finish and be able to operate all the bus routes within rather than along the square’s Martin Street side. That should take place on May 1, according to GoRaleigh. The acorn’s been moved and the bus station’s facilities are up and running. 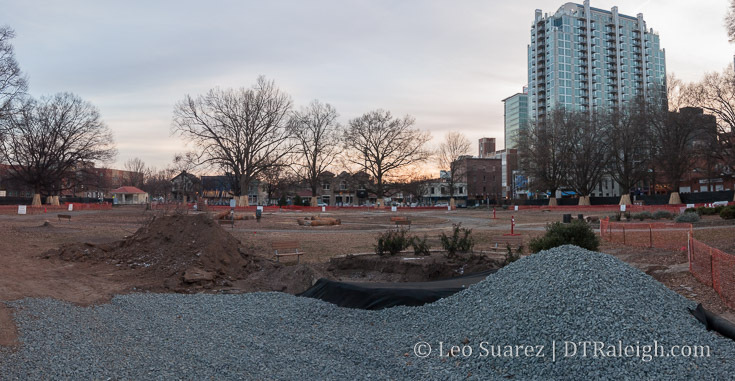 That makes it feel like we’re in the last few weeks of the current iteration of Moore Square. Built around 1877 for Sheriff J.M. Norwood, this 1,600 sq ft historic renovation and relocation project utilized historic tax credits for commercial use. 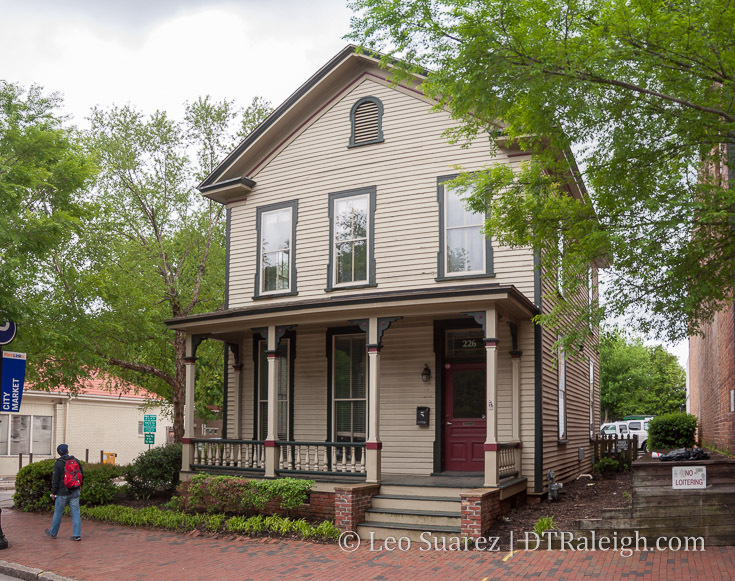 Located in downtown Raleigh near City Market, the Norwood House was home to the offices of Maurer Architecture from 1996 to 2008. This project received the Anthemion Award from Capital Area Preservation and the Sir Walter Award for Community Appearance. Moore Square has so much going for it organically that it doesn’t need to act like an event space any more, something that I would argue was overdone here in the 2000s. The new design should enhance the spontaneous, spur-of-the-moment occurrences that can take place, an essence being in downtown. You can see more about the project on the city’s website. 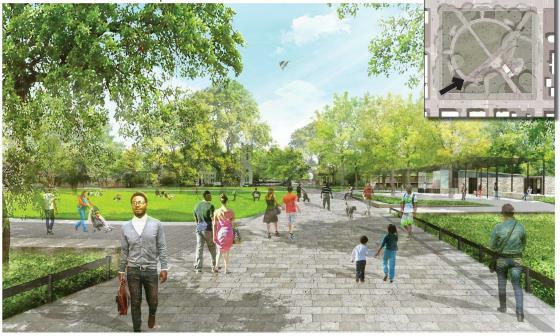 The Moore Square makeover should be finished in Spring 2018. 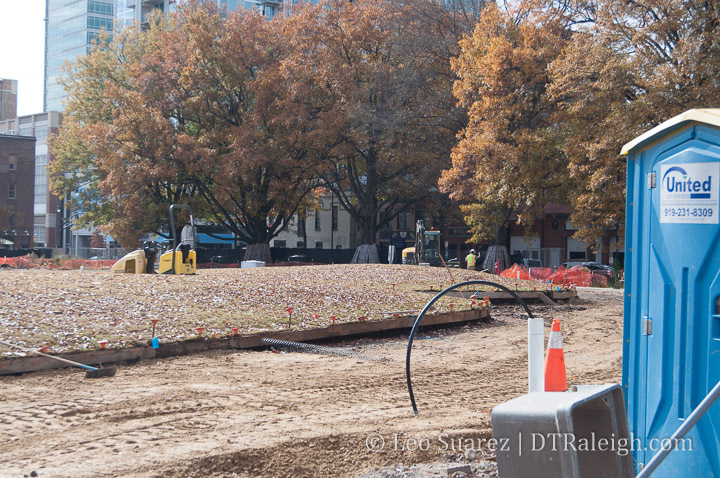 Raleigh’s giant copper acorn has a new home. It was moved from Moore Square to the corner of South and Salisbury Street. I imagine the reason is to clear the way for the impending redesign of Moore Square. The construction shown in the photo above is the new Residence Inn on Salisbury Street. It has certainly been quite a few years in the making but while the movement may be slow, it’s always forward on this project. 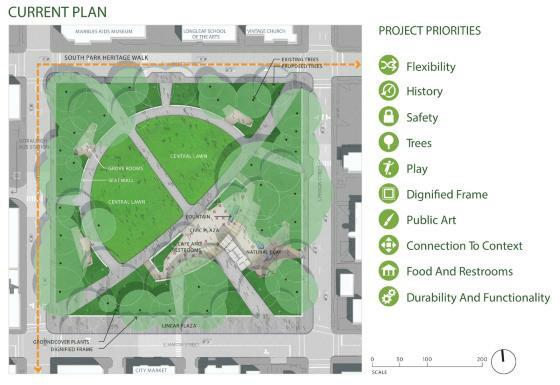 The design around a new Moore Square should be at around 40% in March of this year with construction starting this summer. In December of 2015, the 15% schematic design was presented to council and approval was given to start permitting and getting construction documents made. Screenshots in this post are from that 15% design with the full document available on the city’s website. For those that are not aware, Moore Square falls into the State’s territory so they need to give the nod before Raleigh goes ahead with their plans. All seems positive as earlier this year the North Carolina Council of State approved a partnership with the city. 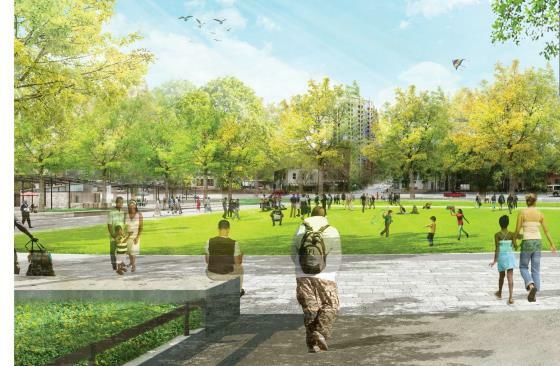 As part of Governor Pat McCrory’s “Project Phoenix” initiative, the North Carolina Council of State has approved a partnership with the City of Raleigh to improve Moore Square in downtown Raleigh. While the State of North Carolina owns the property, the City of Raleigh is responsible for its upkeep. In recent years, the park has been in need of improvements, and today’s vote will start the process for that to happen. We should also see strong commitment from our council on getting this project done as it was a major work item from their latest retreat. Current plan. Click for larger. Even with much discussion, discussion against in my opinion, the presence of the kiosk and restrooms are still shown here in the square designs. (which this blogger supports) The location has changed slightly and the new building incorporates both amenities in a smaller footprint versus the former plan. Expect the new Moore Square to open in Summer/Fall 2017. 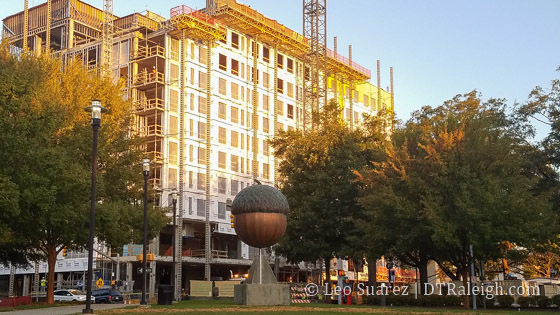 Will Moore Square continue to house the giant acorn? That is yet to be determined.